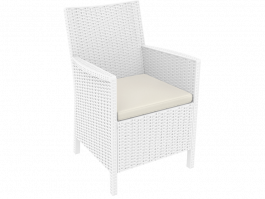 Generous sized California Outdoor Tub Chair with its stately shaped high back, cushioned seat and arm rests allows you to relax while dining. 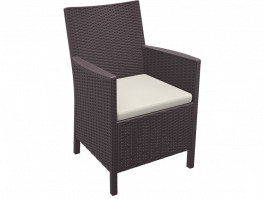 California Outdoor Tub Chair is suited as a dining chair around a table and just as suited as a lounge chair accompanied with a side table for a more informal setting. Bologna Table Base are commercial contract-quality. They are built for heavy restaurant use and designed to last. This table base has a black semi gloss powder coat finish that blends seamlessly in any café, bar or pub dining areas. The table base is compatible with round table tops up to 800mm in size, or square tops up to 800mm. 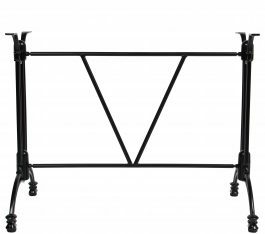 Bologna Dry Bar Table Base are commercial contract-quality. They are built for heavy restaurant use and designed to last. 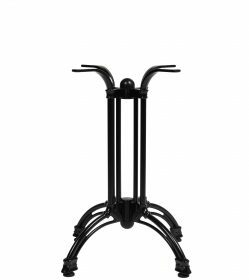 This traditional table base has a black semi gloss powder coat finish that blends seamlessly in any café, bar or pub dining areas. The table base is compatible with round table tops up to 700mm in size. Bologna 2 Way Table Base are commercial contract-quality. They are built for heavy restaurant use and designed to last. This table base has a black semi gloss powder coat finish that blends seamlessly in any café, bar or pub dining areas. The table base is compatible with rectangular table tops up to 1200mm x 800mm in size. Bologna Heavy Duty Table Base are commercial contract-quality. They are built for heavy restaurant use and designed to last. 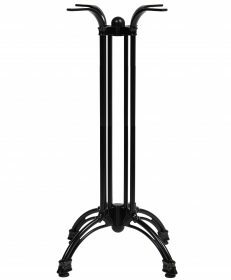 This table base has a black gloss powder coat finish that blends seamlessly in any café, bar or pub dining areas. The table base is compatible with round table tops up to 800mm in size, or square tops up to 800mm. 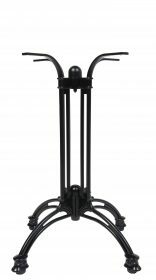 This table base has a black gloss powder coat finish that blends seamlessly in any café, bar or pub dining areas. The table base is compatible with round table tops up to 700mm in size.